Sweet November is coming to an end today. Leaving behind only one month more to start a new beginning..2014! 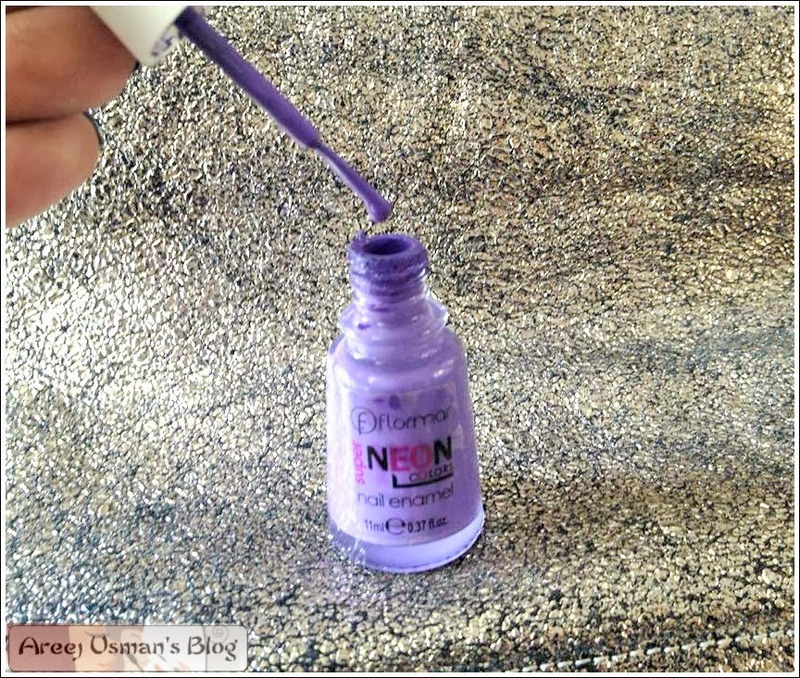 Its been quite a while I did a NOTD post.Have been wanting to share this nail color for quite some time. 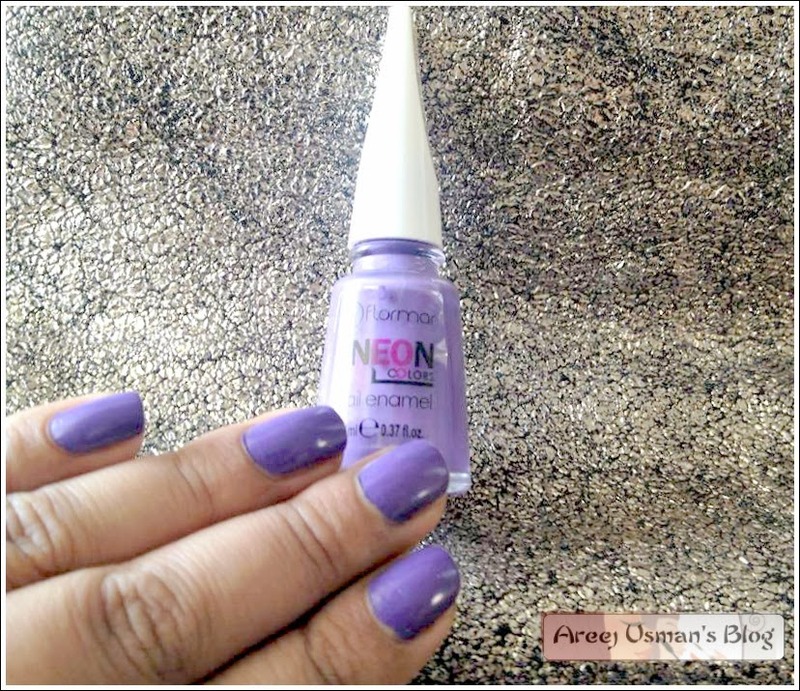 As you fashionistas already know plums and purples are the hues to rock the fall & winters this year..why not wear a matching purple nail color. I am wearing Flormar N009 on my nails today. 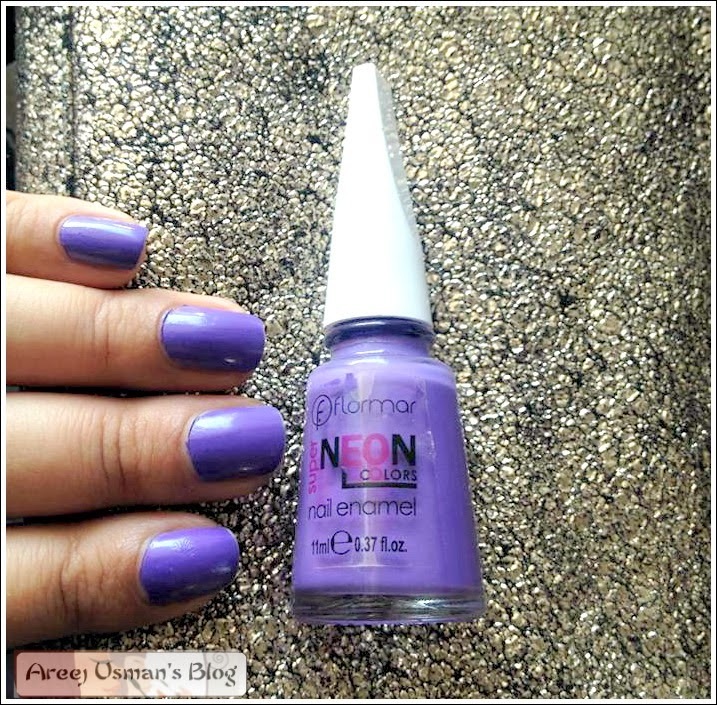 Its from the Flormar Neon Colors Range.Its not a very neon purple though. The formula is nice.I applied 2 coats without a base or a top coats and I love the results.If you are in a hurry and still have to apply this color,only one coat is also enough. 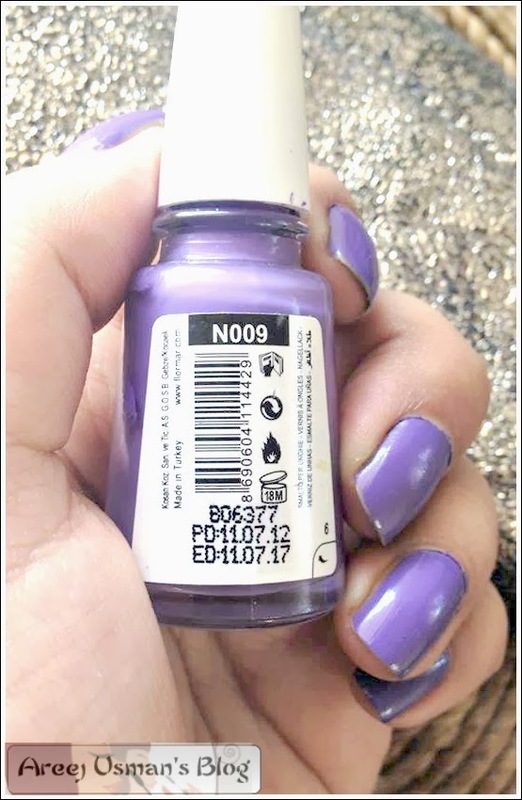 Purple is the shade of the royalty and really you get this feeling of royalness while wearing this lovely purple on the nails.Purple is used a lot in meditation and it is known to give you peace of mind. I love the triangular handle of the applicator.It makes it easier to hold between the fingers while applying.The nail color is also very quick drying.While I applied on the second hand the first hand was absolutely dry. I got this nail color from Al Fateh Centaurus mall for Rs.250/-. 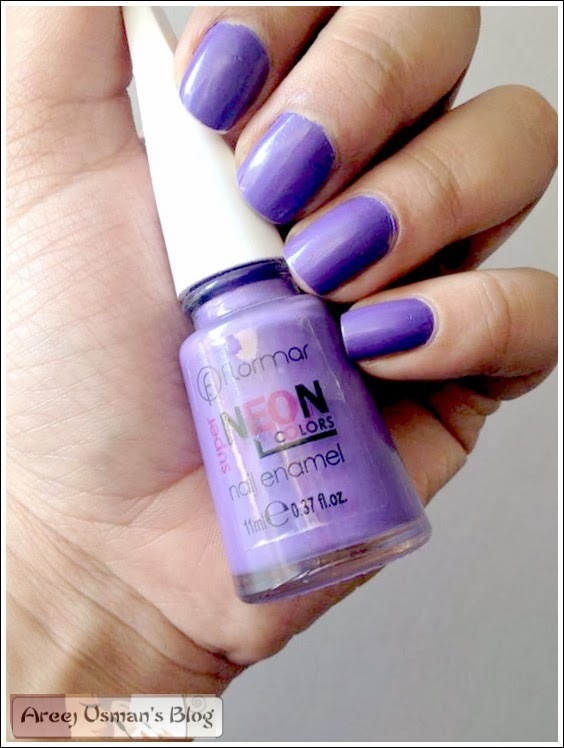 Have you tried Flormar nail colors. What nail color are you wearing on your nails today. ?